When it comes to resurfacing your driveway or designing a patio, you may not be aware of all the options available. With CustomCrete, the possibilities are endless and we want you to be just as excited as we are about transforming your concrete space! Our team of artisans specializes in St. Louis decorative concrete design and we pride ourselves on taking the ordinary and turning it into something special. 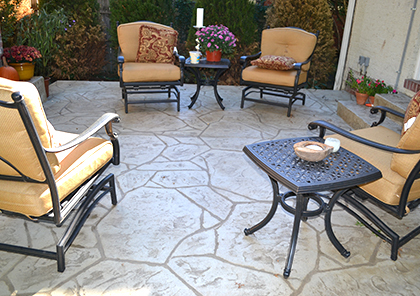 Whether you are looking to install a new patio or simply spruce up an existing concrete space, the St. Louis decorative concrete experts at CustomCrete can turn your vision into a reality. Stamping can be applied to existing or new concrete including driveways, patios, sidewalks, and interior floors. There are a wide variety of colors, patterns and designs to choose from to make your space unique. 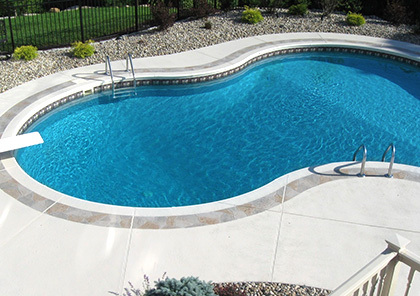 polishing your concrete is a great way to enhance the natural aesthetic, while providing a moisture resistant surface that is easy to clean and maintains a long life cycle. The staining technique brings new life to old, discolored concrete. With Stain-Crete, we marbleize existing concrete with beautiful tones and rich color that won't chip, crack or fade. Stain can be applied to new or existing concrete. Old concrete is often unsightly and can even be dangerous. 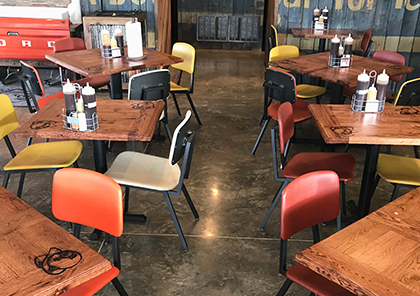 We can help you repair and improve outdated concrete with three decorative concrete resurfacing options to reveal a bold, exciting surface indoors or outdoors. Stop and take a look at your garage floor for a minute. 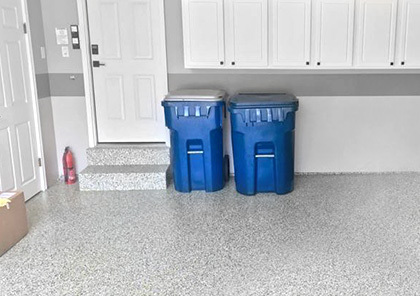 It’s dirty, stained, damaged ugly and unsightly… Isn’t it time to protect your garage floor and your investment? We offer unlimited options for a long-term solution. 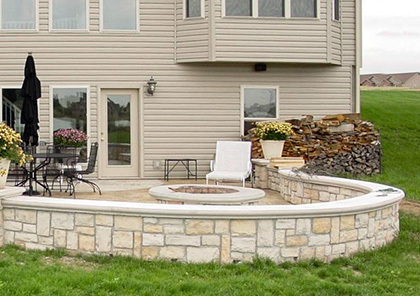 We can build a beautiful, custom fire pit and sitting wall for your patio or backyard. 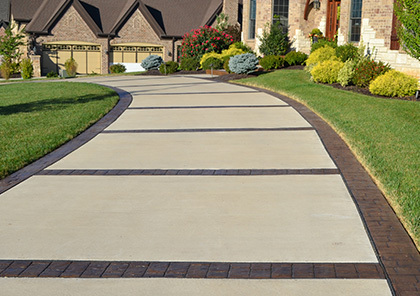 Turn your driveway into a work of art with plenty of custom stencils and colors available. 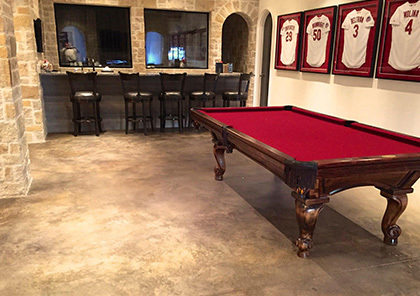 Schedule an appointment to visit your site, discuss your options, as well as the CustomCrete process.